Three tools that help community managers get content shared are ShareThis, ClickToTweet and Twitterfeed. Read on to discover how you can leverage these tools to get your content shared and tweeted. Surely you’ve noticed the social share options that accompany each article, from those on the Bruce Clay blog to the L.A. Times to BuzzFeed. 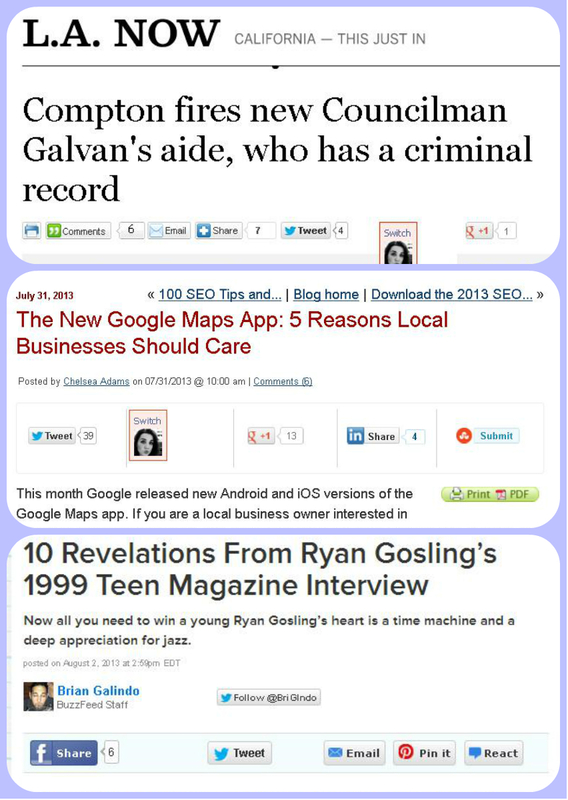 Each article is easily shareable, on a variety of channels. You’ll find many free plugins across the web that will allow you to offer the same sharing options on your own content, which isn’t limited to articles alone. You can add share buttons to static website content, pictures, white papers — whatever is worth sharing. ShareThis, for example, is a popular (and free) tool that let’s you add social media buttons on websites, WordPress, Drupal, Joomla, Blogger, Typepad, Tumblr, newsletters and iOS. ShareThis adds a bar to a page or article. There are different options for how the bar can appear (for example, it can appear with greater or fewer buttons, horizontally or vertically, on different sides of the page, etc.). If a user clicks on the bar of green ShareThis button, they are presented with a list of 93 social platforms on which they can share. The possibilities for social sharing are myriad. 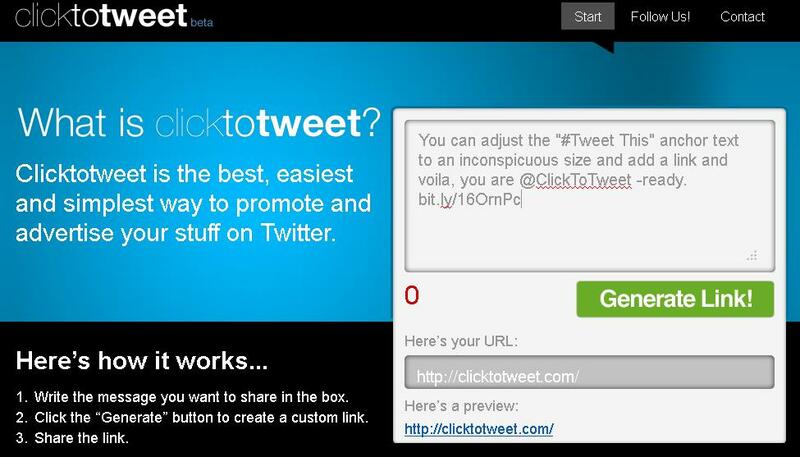 Once you’ve determined the tweetable points in your content, copy and paste the text into ClickToTweet. You can modify it, as well, to shorten the length if need be. It is imperative that you include a link to your article or page it came from — the goal here is to drive traffic back to your site, so the link is necessary. Use Bitly to shorten the link (and know that you can remove the “http://www.” from the Bitly link, as well, to conserve character space). If you have room, you also want to include your Twitter handle (which will hopefully lead to more follows) and relevant hashtags (which will lead to you appearing in searches for related hashtags). If the text to be tweeted includes a reference to someone else on Twitter, you can also change their name to their Twitter handle, as seen below. 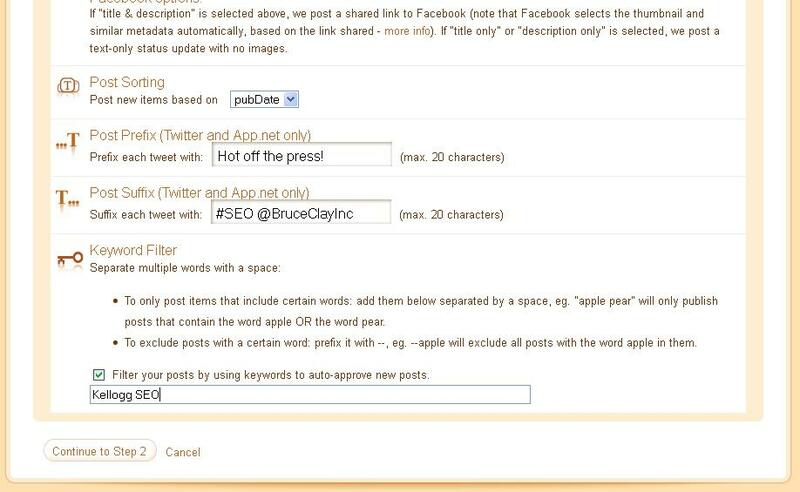 Here are examples of calls-to-tweet within a recent article on the Bruce Clay, Inc. blog. Or, you can add a small Twitter icon and make the it the anchor for the ClickToTweet link. You can design your own icon, or download one of the many icons available across the internet. 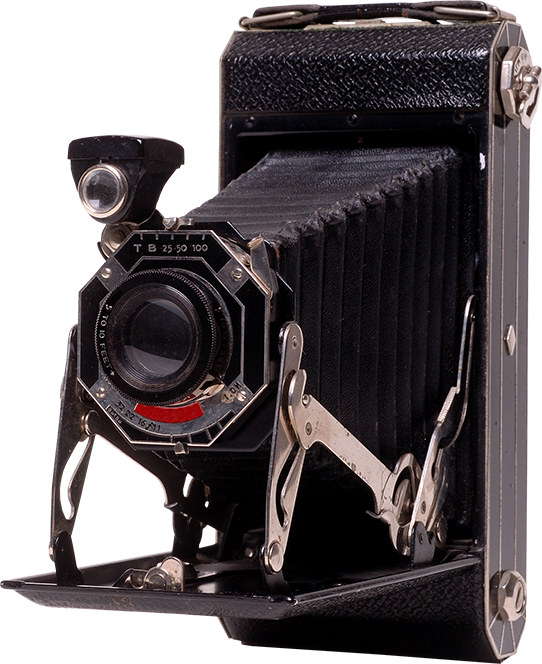 The icon to the right, for example, comes from GettyIcons and is free. Stumped about where to include a call-to-tweet? 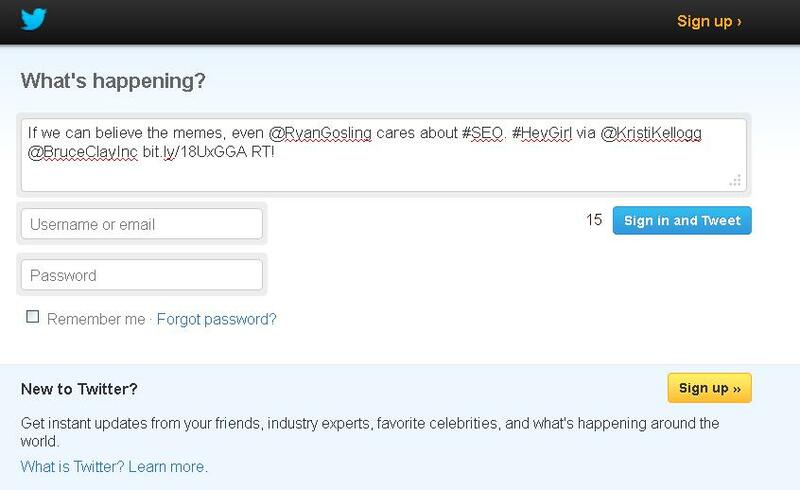 Know that you can include a call-to-tweet on anything that supports outbound links. 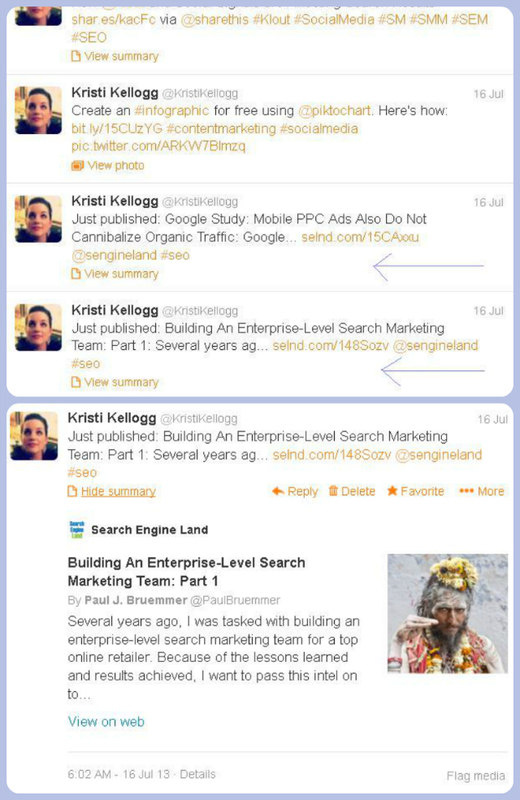 Consider implementing calls-to-tweet on individual items on your blog posts, articles, photos, etc. If you have a list of brief statistics, you could include “Tweet this!” after each of them. Perhaps you’ve written an article and you want to use “Tweet This!” to highlight particularly important points (as seen in this very post!). If you have created a photo essay and you want people to tweet individual pictures. 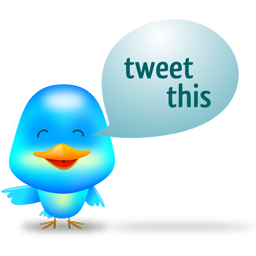 This, too, is possible with ClickToTweet. First, however, you will need to tweet a photo yourself and then get the pic.twitter link. Then you just include it alongside the link to the page your picture is on and whatever text you created for the tweet. The end product of all this strategy is that the user will be able to effortlessly share your content in precisely the way you would like it to be shared. When they click on your anchor text or link, users come to a page like the one seen below. For the user, it’s as easy as one, two, tweet. While ShareThis and ClickToTweet are great for getting others to share your content, you are responsible for sharing your content, as well — on all your relevant channels. 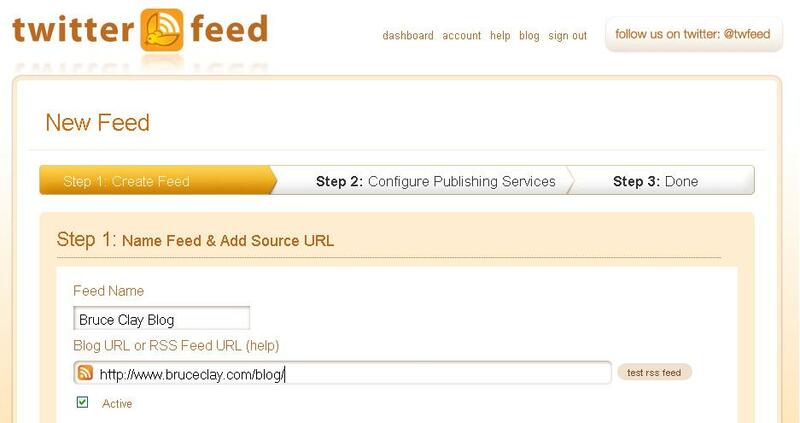 If you have a blog, the easiest and most efficient tool that automates the social push is Twitterfeed. 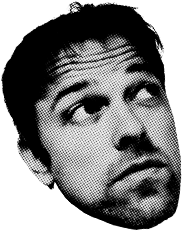 Twitterfeed is a free service that allows you to set up an simultaneous, automatic feed for your Twitter, Facebook (user or page), LinkedIn and App.net. If, for example, I wanted my personal Twitter, Facebook and LinkedIn accounts to automatically share any blog post published on here on the Bruce Clay blog, here is what I would do. I would log in to Twitterfeed and create a feed. I’d name it “Bruce Clay Blog” and connect it to http://www.bruceclay.com/blog/. I would go into the advanced settings and add text in the post prefix and suffix fields to add some context for my Twitter followers (the prefixes and suffixes only show up on Twitter and App.net), making sure to include any relevant hashtags (#) or at signs (@). I could take it a step further and also check off the “Filter Your Posts.” If I only wanted to share articles I had written, I could make my last name a keyword. 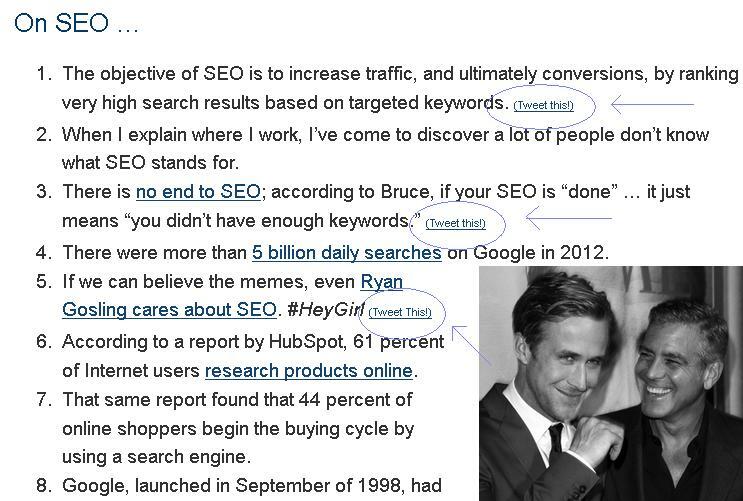 If I only wanted articles I had written that mentioned SEO, I could put that in, as well, and so on. The tweets set off by arrows were tweets delivered via Twitterfeed. 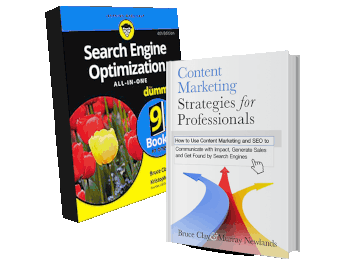 “Just Published” was the prefix I included and “@sengineland #SEO” was the suffix. The article’s title, description and picture were courtesy of Twitterfeed automation. Just remember that you can’t use Twitterfeed if your goals are to track user interaction via Google Analytics tracking codes. 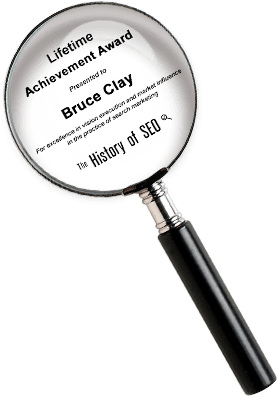 We used to use Twitterfeed to promote articles on the official Bruce Clay, Inc. twitter account, but had to forgo that practice when we implemented GA tracking codes, which necessitate creating custom links rather than automated links. What strategies do you use to ensure your content gets shared? Tell us your favorite tools and tips or ask any questions! Thanks for this advice, Kristi! I think it can be hard for some businesses to really know which tools will work best for them, so I think this blog will clear up any confusion about some of the Twitter tools. Content sharing on social networks is so important, it’s great to have ways to simplify the process. Loving these blog, Twitter has been my platform for months now, and its incredibly amazing! Thanks a bunch!